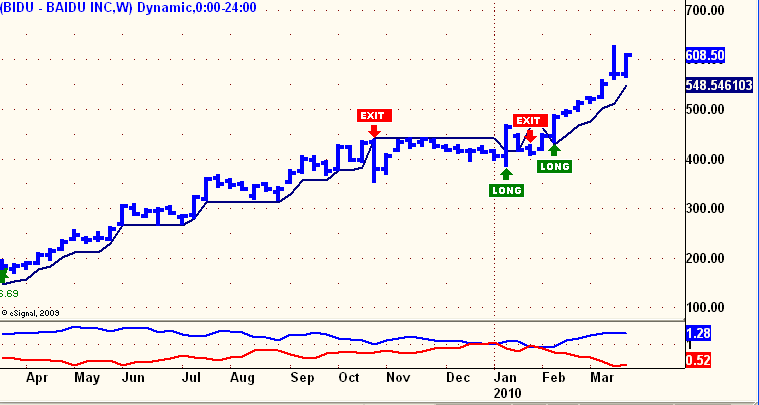 The latest signal under the old settings was a BUY on February 12, 2010 @ 488.00. 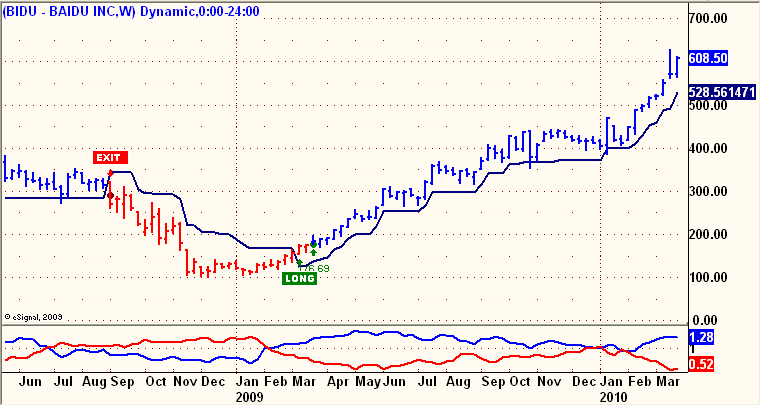 With BIDU currently at 608.50, that is a gain of about 25%. You can see with slightly higher internal settings, the chart avoids the early 2010 whipsaw. 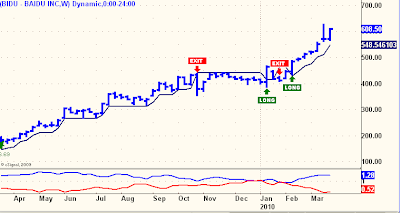 In either case, this Weekly Trading System has proven to be very profitable over the past few years.